“They still make those?” was often the response I received when mentioning that I recently test drove for our 2018 Smart Fortwo ED Cabrio First Drive. 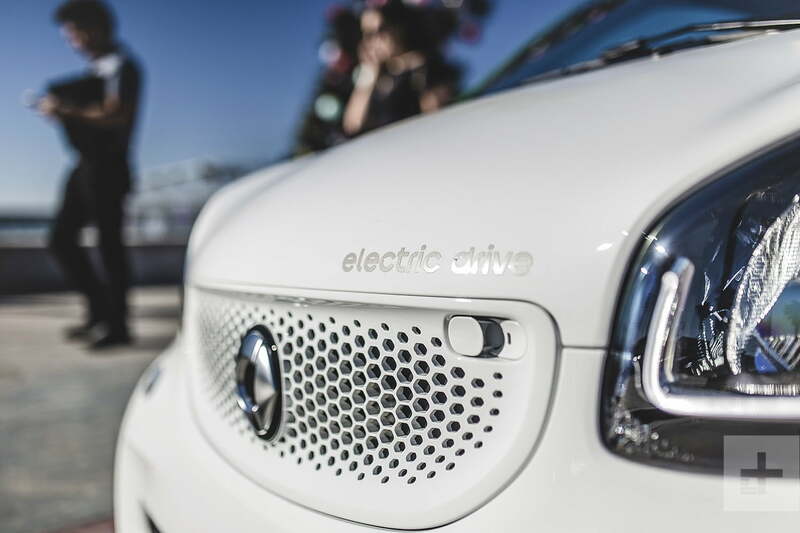 And that “ED” stands for “Electric Drive,” which as you guessed, means this specific Fortwo Cabrio is all-electric. The third-generation model surfaced not too long ago back in 2014 so yes, they do still make these things. And they’re quite popular among city dwellers and metropolitan-based fleets, such as local law enforcement or car sharing programs. Lining up with today’s trend of trying to send the internal combustion engine off into the pages of history, Mercedes-Benz and Smart pledged earlier this year to sell all-electric vehicles only in Canada and the United States. 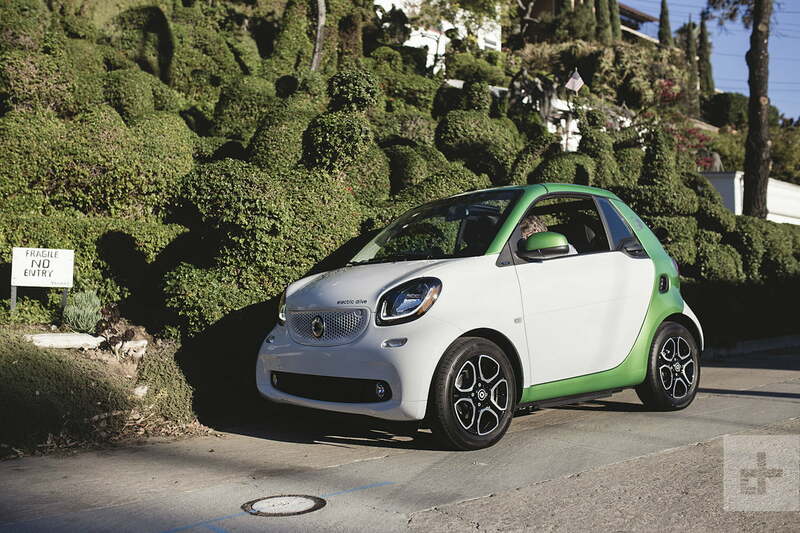 Back in August of this year, Smart delivered on their promise, launching the ForTwo ED coupe. The latest variant applies the Electric Drive powertrain to the cabrio as well, which they invited us to test out in sunny San Diego for a day. Offered in two trims — passion and prime — versus the hardtop version, the two seemingly separate themselves mainly by the amount of standard equipment. The passion starts at $28,100 and the prime at $29,100. With a price difference of $1,000, opting for the prime adds active cornering foglamps, automatic headlights and wipers, heated leather seats, and interior ambient lighting. Otherwise, things you’d expect to find on a car in 2018, like power windows and locks, a decent radio, and climate control are all found in the Fortwo. Our prime tester optioned out the invoice to the max at $32,180, with the upgraded JBL sound system, a special smartphone cradle, a center armrest, and reverse-assist. Stepping into 2018 Smart Fortwo resembles entering an enlarged Nike sneaker, except with two seats, four wheels, and electric motor. The interior even features the same combination of tough, but strong vinyl and aerated polyester that you’d find composing your athletic footwear. Overall however, the latest Fortwo continues to offer its best interior yet, feeling more like a car than an oversized golf cart. 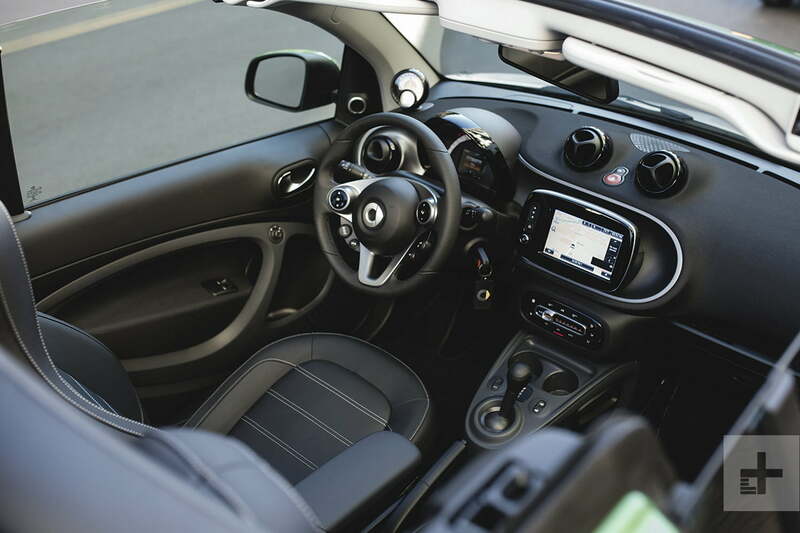 Overall, the latest Fortwo continues to offer its best interior yet, feeling more like a car than an oversized golf cart. The Smart Fortwo’s seating might be limited for two, but it still greeted us well for our quick day stint around downtown San Diego. The cockpit remains well thought out and space efficient enough to accommodate two passengers and their personal items for brief local trips, like to and from the shops in the next neighborhood. If space is a concern to haul anything more than such, or if you’re taller than six feet, then the Fortwo isn’t going to be comfortable nor practical for you. You might have better luck with something larger, like a Fiat 500 or a Honda Fit. The Fortwo Cabrio retains the cloth retractable roof that acts as a cheat code to unlimited headroom in a targa-like fashion. 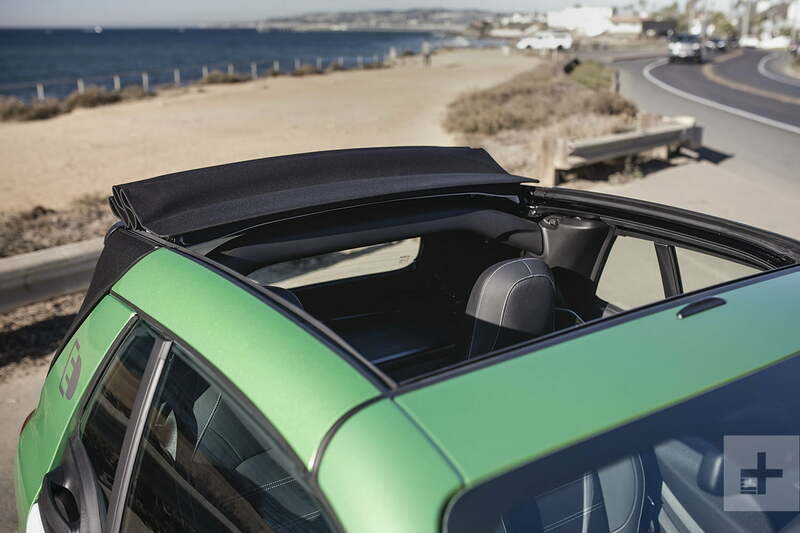 Should you want the full-blown convertible experience, the roof’s side rails above the doors can be removed with some easy click-and-lift manual labor, and stored in the trunk for safe keeping, though at an expense of precious space. No more is the wheezy, gas-powered 89 horsepower 0.9-liter turbocharged three-cylinder, which sounded like an asthmatic mouse whenever on the throttle. In its place is a 60-kilowatt, three-phase electric motor, good for 80 horsepower and 118 pound-feet of torque. Juice is supplied by what’s basically a bunch of enlarged laptop lithium-ion batteries, supplying 17.6-kilowatt/hour, or an EPA total range of 58 miles when fully charged. As long as the outlet chosen for the task of recharging is a 240V/32A circuit, an 80 percent recharge from naught should only take 2.5 hours, with a charge to full from empty taking only three. Otherwise, it’ll be a whopping 16.5 hours of downtime for a dead-to-full recharge from a standard 120V/12A socket. It also might be nine horses less than the gas motor, but the electric motor twists out 18 more foot-pounds of torque, providing a slightly zippier experience hunting for various scenic locations around San Diego proper. Given the torque was always there, all the time, there’s no delay or wait for the engine or minuscule turbo from the gas motor to spool up. Those might be modest numbers, but it’s because they are. Should you want to compare them to figures say, a Chevrolet Bolt or even the Nissan Leaf, you’re already more than $10,000 beyond the Fortwo’s asking price with the Bolt, or even the Leaf, which leads by almost $6,000, putting the Fortwo Cabrio Electric Drive in its own class. The closest competitor would be the Fiat 500e, with its range of 84 miles and 111hp electric motor with 147 lb-ft of torque. But you’d have to surrender the open-top form to enter one and around $2,000-$3,000 extra. 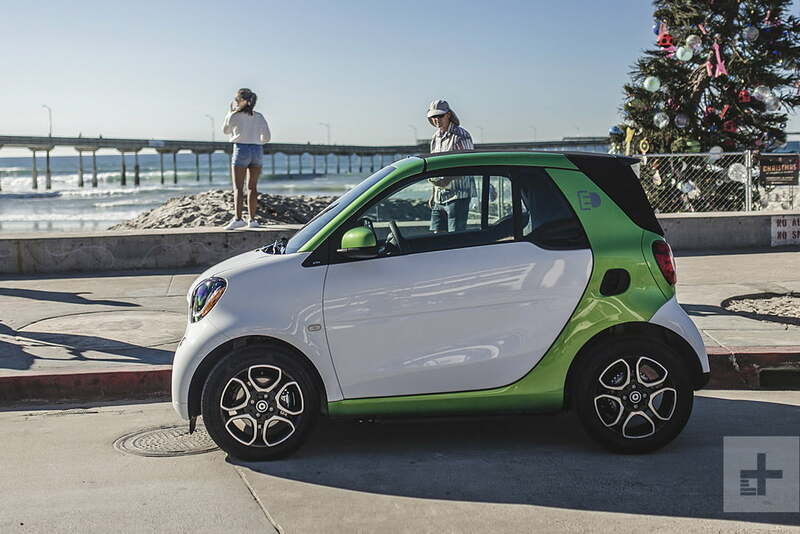 When trying to merge with speedy California freeway traffic on Interstate 5, wide-open throttle did happen frequently, and the motor seemed to lose steam with the pedal to the metal as we neared the Fortwo Electric Drive’s top speed of 81 mph. But thanks to the absence of the slow dual-clutch automatic from the standard Fortwo, the overall acceleration experience is much more refined. Being a small city car means it still comes with a great amount of compromise whether you’re driving the streets of a big metropolitan area or the rural roadways of a small town. Due to the Smart Fortwo’s pint-sized dimensions and short wheelbase, the well-tuned suspension can’t hide the laws of physics. The Smart Fortwo won’t shatter your spine but the dips and hops of San Diego’s busy intersections still toss you around a bit like a roller coaster on the forward and backward body motions of the X axis. Make sure you’re not heavily leaning forward when you do hit a big California road dip, unless you want your head to have a brief meeting with the dashboard, which nearly happened to me as I was sitting passenger, reaching for something on the floor. 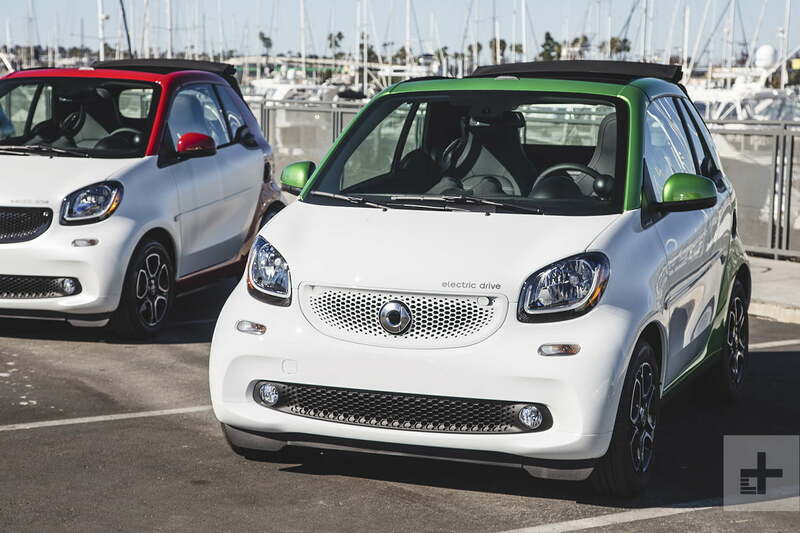 Should you still be interested in the Fortwo Electric Drive Cabrio, it sports a basic four-year, 50,000-mile — which ever happens first — warranty both on the vehicle and powertrain. Though given the Fortwo’s relatively simple construction and operation, along with a powertrain that has significantly less parts than its internal-combustion-powered sibling, and German build quality, the Fortwo Cabrio should be fairly trouble free, with previous models ranking at average, or slightly above average on J.D. Power initial quality studies and ratings. Because the $1,000 pricing difference is minimal between the better equipped prime cabrio, which adds enough small details to slightly elevate the experience to give off the vibe of a premium product in the class of city cars, it’s the one we’d jump for. And although color is a subjective topic, out of the 400 color combinations possible between the exterior body panels and contrasting Tridion Safety Cell, we’d choose Midnight Blue Metallic for the panels, and Graphite Grey for the Tridion Safety Cell, simply to match DigitalTrends’ own color theme. Should you buy one? Well, it depends on a few conditions. 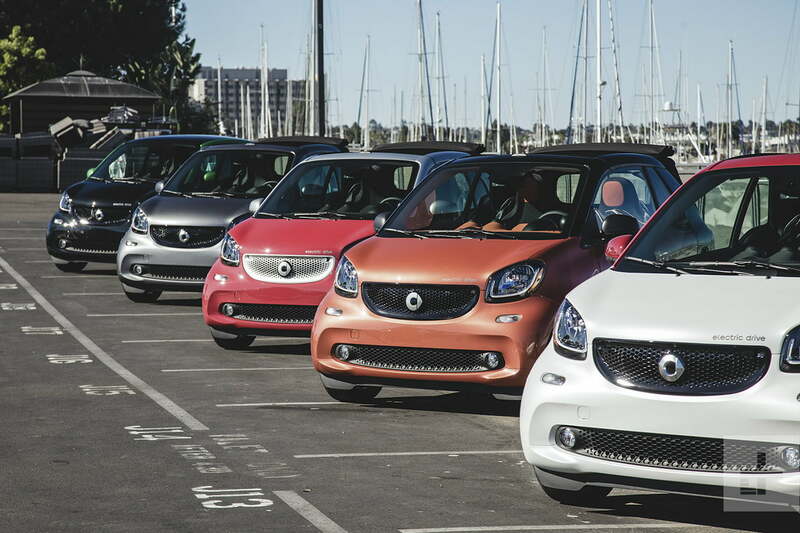 First, the Smart Fortwo is a set of wheels that fulfills a very specific niche. 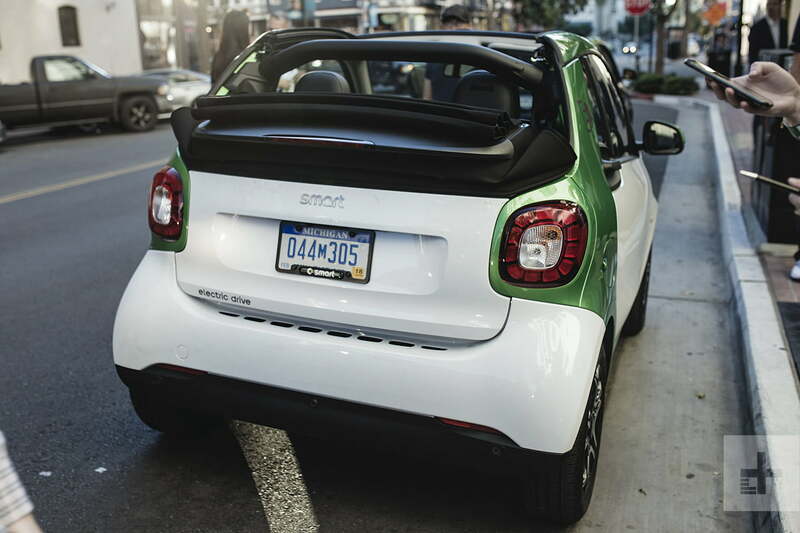 If you’re one who lives in a very dense city like New York or San Francisco, and don’t often venture off into the land beyond, you might find the Fortwo Cabrio to be a fun solution to getting around. But find yourself traveling more than 25 miles one-way for a quick stint outside the city proper, and range anxiety might begin to set in for your return, unless you’ve planned out a charge point in your trip. Upon initial sight of its $32,180 price-as-tested, it might also seem like a hard pill to swallow. 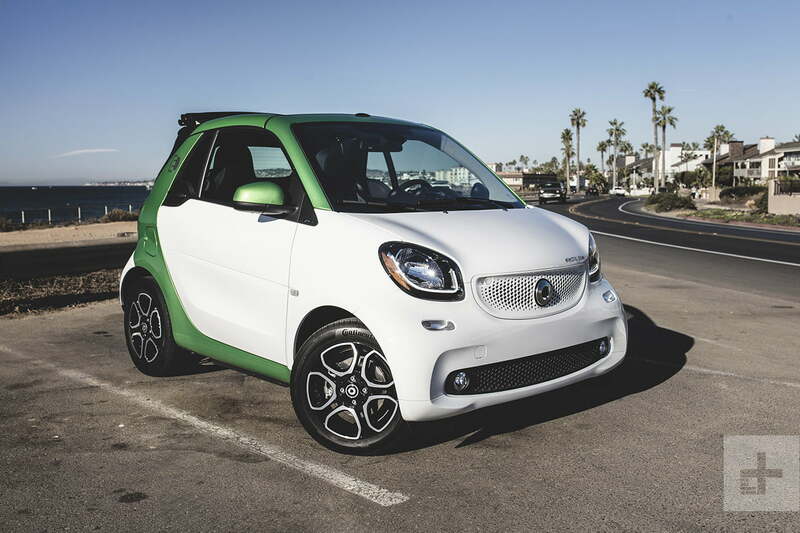 The standard eligibility for the federal EV tax credit of $7,500 makes that $32,180 more like $24,680, including whatever state-level tax credits the Fortwo Cabrio Electric Drive might qualify for. Additionally, because of the Smart Fortwo Cabrio Electric Drive’s high price of entry (for what it is) and limited driving range, you might be just as inclined to check out some other gas-powered alternatives within the mid-$20k price range. With a gas engine, one could argue that the increased practicality of greater traveling distances from a gas-powered car better justifies spending more than $20,000 on a convertible. If sticking with electrification is the name of the game, you’ll be hard-pressed to find another all-electric convertible in its price range. For just a couple thousand more, you could consider the Fiat longer-traveling 500e or Nissan Leaf, both of which travel at least 84 miles (500e) or 150 miles (Leaf) on a full charge. But again, that would require surrendering the open top fun. If you’re really dead-set on sticking with the convertible, it might be best to consider the option of a gas-powered set of wheels. Then, your world opens up to alternatives like a new Mazda Miata, its Italian cousin the FIAT 124, or even a FIAT 500C with its targa retractable roof.